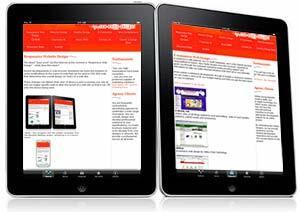 The latest "buzz word" on the Internet at the moment is "Responsive Web Design" - what does this mean? Recent developements in web browser standards has been the inclusion of some modifications to the types of code that can be used in CSS (the code that determines the overall design (or 'look') of a web site. These changes can detect what 'size' of device a user is viewing your site at and can trigger specific code to alter the layout of a web site so that it can "fit" onto the device being used. Try it for yourself now on our web site! - if you are using a desktop device, try resizing your web browser window to more and more narrower sizes. You will see that the web site "adapts" to differing 'viewport' sizes so that, whatever the viewer is looking at your site with, they will always receive a "correct" view. 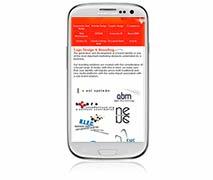 Mobile phone : The design now moves into single column mode so the content is all still available but without falling out of the constraints of the viewing device. 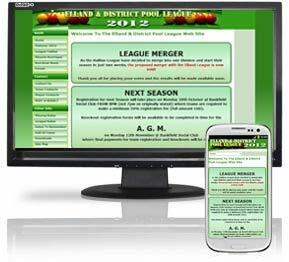 A local Pool League who's web site is maintained by us - recently updated to be 'responsive' to accomodate the ever increasing number of mobile users. 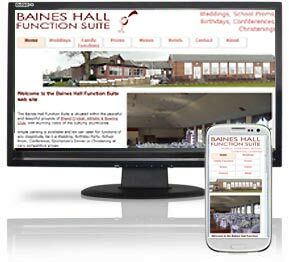 A popular wedding venue, the Baines Hall web site showcases the facilities available for the customer. Again, designed to be 'responsive' to accomodate the greater number of mobile and tablet visitors.